Mary Lou McDonald has been at the forefront of a new breed of Sinn Fein politicians softening the party’s image. 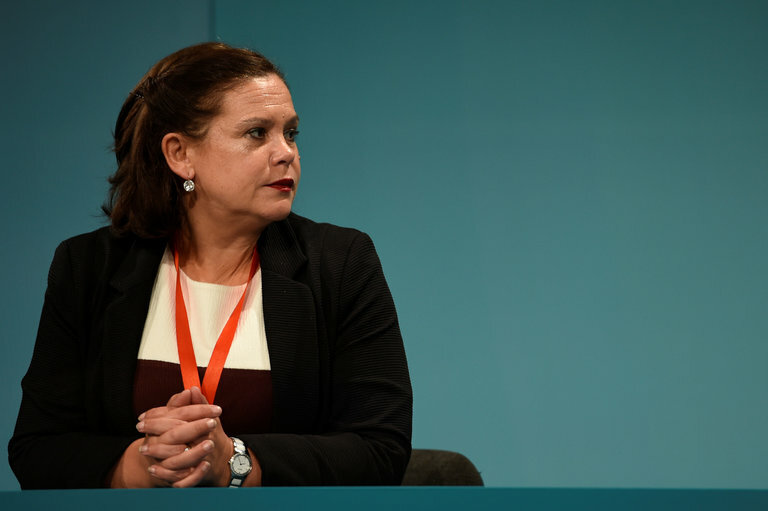 BELFAST — Mary Lou McDonald will succeed Gerry Adams as Sinn Fein leader, the party said on Saturday, completing a generational shift for the Irish nationalist party as it bids to enter government on both sides of the Irish border. Adams, a pivotal figure in the political life of Ireland for almost 50 years, announced he would step down as leader of the former political wing of the Irish Republican Army last November after more than three decades in charge. McDonald, an English literature graduate from Trinity College Dublin who has been at the forefront of a new breed of Sinn Fein politicians softening the party’s image, was the only Sinn Fein lawmaker to put her name forward for the leadership ahead of a special convention on Feb. 10. “For us in Sinn Fein in the time ahead, we have to grow our party, not just our mandate but also our capacities. We have to modernize, we have to be fit for purpose, fit for our task,” McDonald said in a speech to party members in Belfast. Adams, still reviled by some skeptical voters as the face of the I.R.A. during its campaign against British rule in Northern Ireland, hands over to a successor with no direct involvement in the three decades of conflict that came to an end in 1998. It also means the left-wing party will be led on both sides of the border by women in their 40s after Michelle O’Neill succeeded Martin McGuinness as leader in Northern Ireland shortly before the former I.R.A. commander’s death in March.